Transform any room in your home to a workspace with the Merax Home Office Computer Desk. This Computer Desk features a storage hutch, a pull-out grawer and several bookshelves. The spacious tabletop provides enough space for a computer or laptop. 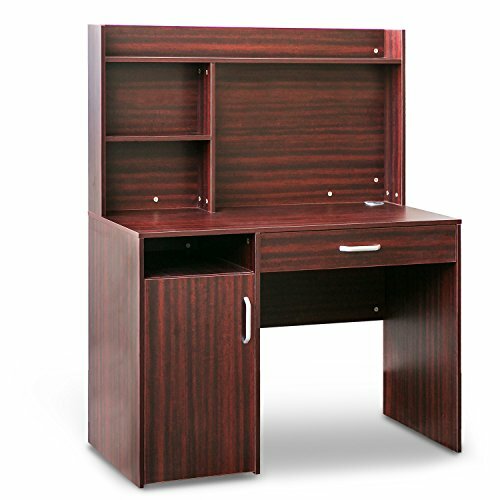 Made of strong MDF, this computer desk is strong and long-lasting, which is an ideal addition of furniture for home and office. The drawer provides plenty of space for small utilities and office supplies. The upper shelves of the desk can hold books. This computer desk can also be placed in the rooms of children as a study table. It is easy to care for and maintain. This desk can be wiped with a clean and damp cloth for keeping away dust and dirt.